How many high-net-worth investors in Canada? Should I keep or commute my company pension plan? What was a good investment return in 2017? Net worth. Self worth. What values will you pass on? 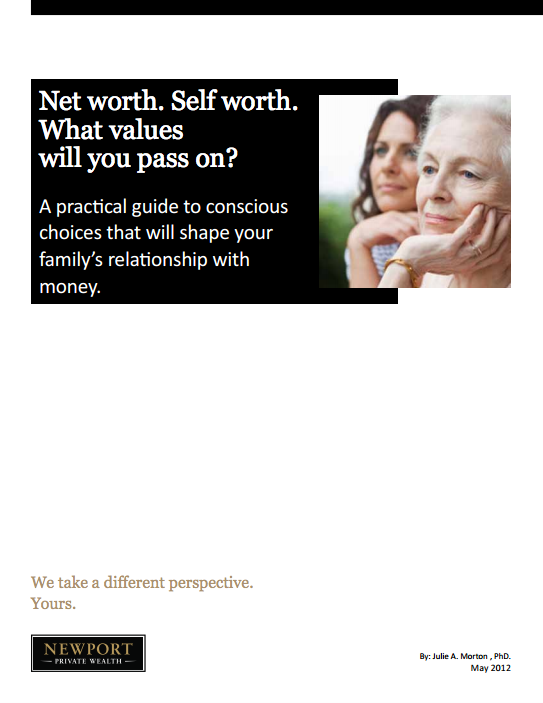 A practical guide to conscious choices that will shape your family’s relationship with money. Copyright © 2019 Newport Private Wealth Inc. All rights reserved. If you've been expecting more, we've been expecting you.